The stairs in this park go up...and UP! Don't YOU want to run up them? a beautiful small park overlooking the Long Island Sound. Without warning, I came upon a rustic staircase that climbed a steep hill. I'm a mountain runner! I eat hills for breakfast. here in the dense heart of the greatest city on Earth! 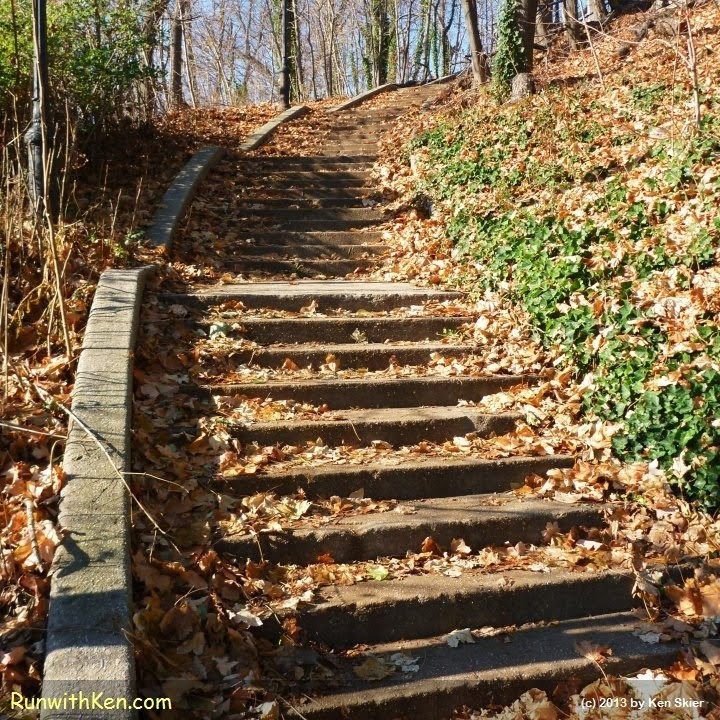 (If you came upon this staircase while running, would you smile and pick up the pace? I ran up these stairs like a man leaping for a winning lottery ticket!